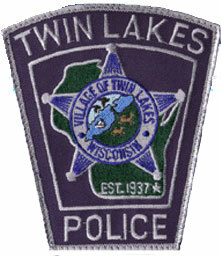 On Thursday, July 5, 2012 at 6:38PM, Twin Lakes Police Officers were dispatched to a grocery store in the 600 block of North Lake Avenue for a vandalism complaint. Upon arrival, the officers discovered that a 13 year old from McHenry, Illinois had detonated a homemade chemical device while inside of the store, causing an undetermined amount of damage. A mother and her small child were in the aisle when the device exploded. Fortunately, there was no personal injury to any employee or customers. Officers immediately requested the store to be evacuated and the Twin Lakes Fire Department and EMS were summoned. Officers checked the interior of the store in an attempt to locate other devices with negative results. A customer in the store who observed the act had followed the 13 year old out of the store and called the police to advise them that he was following the subject, who was on foot, at which time the 13 year old was subsequently detained by responding officers. Upon detaining the 13 year old, it was discovered that he had placed two similar homemade chemical devices next to the large propane tanks outside of the Sentry Food Store. The devices were located and the Kenosha County Sheriff’s Bomb Squad responded to the scene to render the devices safe and did so without incident. This matter has been turned over to the Kenosha County District Attorney’s Office for five Felony charges, to include 2- counts Reckless Endangering Safety and 3- counts Possession of Explosive Devices. A homemade chemical â€œbombâ€ is an explosive device that can be made easily from volatile household chemicals (e.g., toilet bowl, drain, and driveway cleaners) purchased at a local hardware or grocery store. When these and other ingredients are combined and shaken in a capped container, the internal gas pressure generated from the chemical reaction causes the container to expand and explode. The subsequent explosion can cause injuries or death to persons in the immediate vicinity of the detonation. One has to wonder where the parents were. I say throw the book at this kid AND his parents, and make an example out of all of them!